Rev. Jane Nelson, the seventeenth serving minister of First Omagh Presbyterian Church, was Ordained and Installed on 7th September 2012. Jane was born and raised in Belfast and grew up as a member of Rosemary Presbyterian Church in the north of the city. Jane became a full communicant member of the church when she was 16 and from then on took many leadership roles within Rosemary – the Youth Club (young leader), the Youth Fellowship (young leader), 77th Belfast Boys’ Brigade Company (leader in charge of Anchor Boys) and the Friday Bible Club (team leader of primary school children). At the age of 21 Jane was elected on to the Church Committee and five years later she was ordained as an elder in Rosemary and also took part in a trip to Brazil as part of a P.C.I. Youth Overseas Team. Ten years ago Jane also led a small congregational team to Ekwendeni in Malawi. As Rosemary’s representative elder on North Belfast Presbytery, Jane gave her talents to various ad-hoc committees and attended the General Assembly in 2008 and 2009 as a North Belfast Presbytery representative elder. 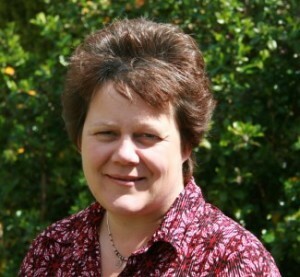 In 2007, Jane took the brave decision to leave her long standing position in the Northern Ireland Civil Service to become a student for ministry at Queens University, Belfast. As part of her ministry training, Jane has spent placement time in Cairncastle, Dunmurry, Donoughmore and Stranorlar congregations and has also been a full time assistant minister of St. John’s, Newtownbreda before accepting the Call in 2012 to become the minister of this congregation.